For something that came out of the Indian Space Research Organisation, the car sure does look like an ugly box with a solar panel dumped on top of it. In a bid to promote renewable energy, the Indian Space Research Organisation (ISRO) created a hybrid car that can run on electricity, as well as solar power. The Solar Hybrid Electric car was designed and developed by scientists at ISRO and the same was successfully tested at the Vikram Sarabhai Space Centre in Thiruvananthapuram. "An ideal transportation system should envisage zero emission without any pollution," said ISRO. ISRO chose a Maruti Omni and mounted a solar panel on the roof of the car. The hybrid vehicle runs on rechargeable lithium ion batteries which can be charged using the car’s solar top. As per reports, creating the solar rooftop for the car was a real challenge for ISRO. 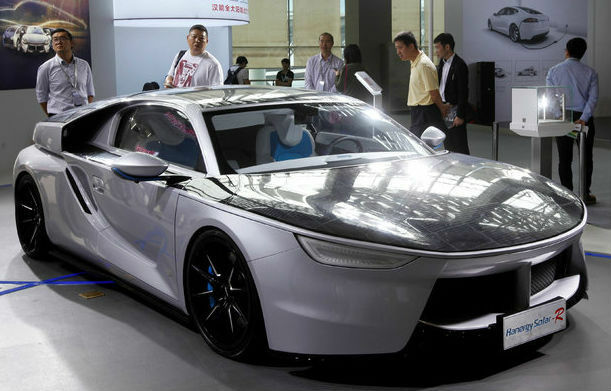 The space agency is now working to develop ways to cut down the cost of manufacturing the Solar Hybrid Electric car. While this would and should be a chest thumping moment for all Indians, we fail to understand why something that came out of ISRO looks so flat out ugly. One would argue that it is the technology that matters and not the looks, but they definitely could have upped the aesthetic appeal of the vehicle which looks like an ugly box with a humongous solar panel dumped on top of it. Not only will ISRO have to cut the cost of manufacturing such hybrid cars, it would have to refine the solar technology further, starting with getting rid of that jarringly large rooftop. On the other hand, ISRO’s technology solves a very basic problem with electric cars, that of their range in a single charge. Having a solar panel constantly recharging the battery can enable hybrid cars to cover more ground at a time. Now go back and look at ISRO’s version. Pretty disappointing, right? We hope ISRO improves its solar-electric hybrid technology soon. Maybe give it a new face ISRO? CAN THIS BE DONE IN HOME IF YES HOW? How To See Who Logged Into a Computer and When ?